"Two Wheel Bike" is an encouragement and empowerment song for young kids about successful bike riding on two wheels. Its verse is rapped in a contemporary hip hop setting, accompanied by celli, bass, synths, and drums. Children tell themselves and listeners that they can do it – they can master the balance with no training wheels. Repetition on the D.S. and at the coda reinforce the message, as well as their own intentions. After the initial rapping, the chorus is sung. It reminds the kids to take pride in their efforts and believe in their ability to achieve their goal. More repetition and positive language helps to lead them toward success. In your classroom, we encourage you to invite students to alter pitches and make the rapped portions of this song more like phrases that are spoken. Also consider letting some of the rap be performed by individuals. You could even have them trade off in a freestyle manner. 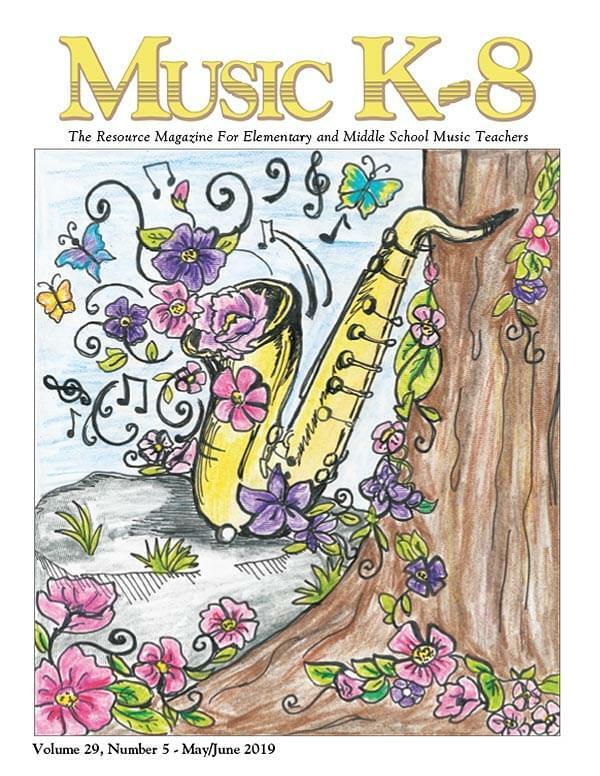 During the instrumental parts of the piece, you may find your kids are inspired to dance. By all means, let them. Suggest they incorporate "bicycle moves" (whatever that means to them) for more fun.